It wasn't too long ago that I cut off my long hair - it was a spontaneous decision as that day was burning hot and I could no longer deal with the heat. There are times when I wished I had my long hair but then there are moments I am glad that less hair is holding me back. Not to mention that it feels so much lighter too. When I got contacted by Irresistible Me to try out their hair extensions, I was a little apprehensive at first. I have no experience using them and I was afraid that I would not know how to. 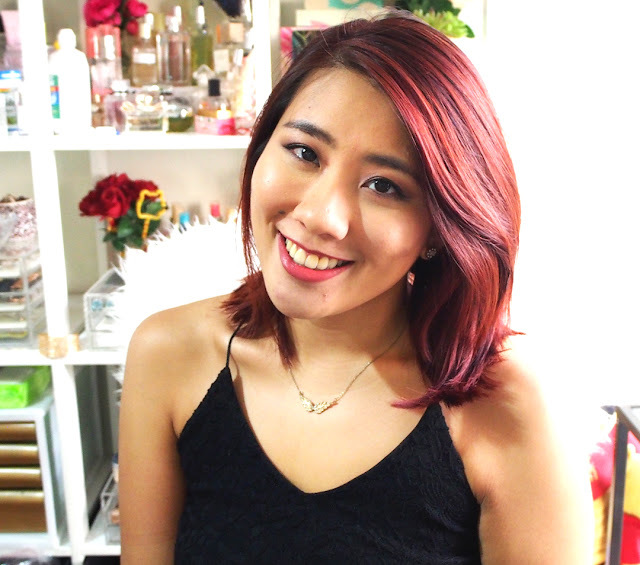 After googling and youtube-ing, as well as the strong urge to have the option of long hair again, I accepted and I wanted to share my thoughts regarding them with you. 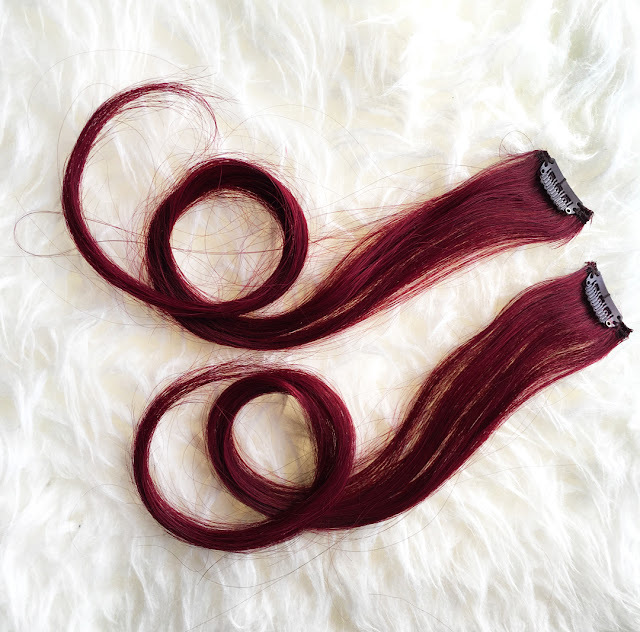 The first step involved choosing the colour, length and weight of the hair extensions. There are many options available in terms of shade, length and weight which I do like. 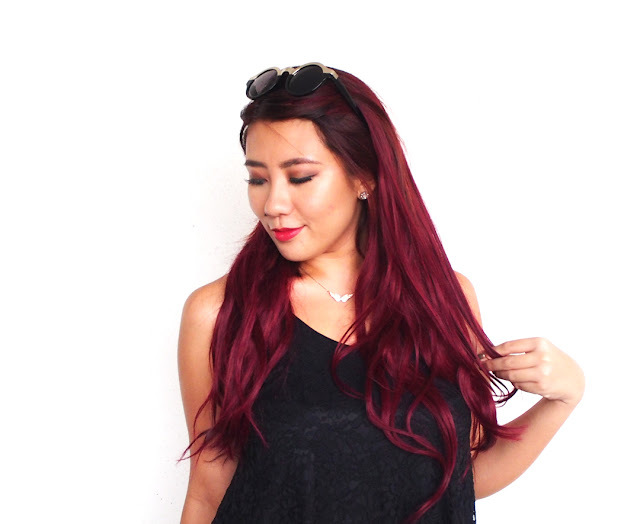 Considering that I love to dye my hair to a reddish tint and I have extremely thick hair, I went with the Silky Touch Clip-In Extensions in Rosewood, in 20" and in 200g. Shipping took about 2 weeks and the extensions came in good order! The hair extensions come in a bag which is in a box so the chances of them getting damaged during shipping is pretty low. I like that they included a sample 2-clip piece which enables you to see and length and colour of the hair extensions before opening the rest of the package. If it isn't what you wanted, you can simply ship it back and exchange it. I'm not entirely sure about the process or the fees (if any), but it is nice knowing that it can be done rather than wasting your money on a whole set that you can't or are reluctant to use. 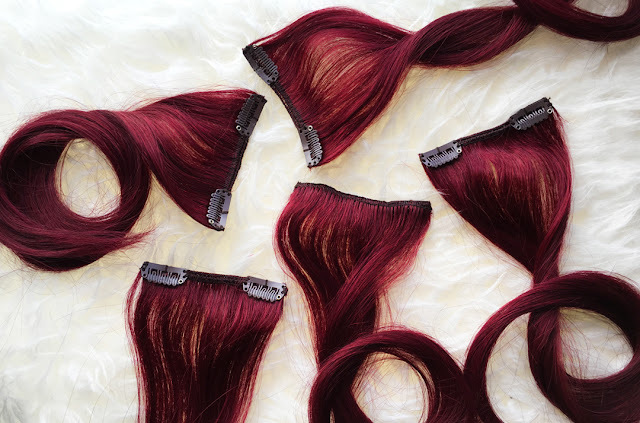 These are 100% Indian Remy hair extensions so it is possible to cut, colour or style them. Each piece is also tapered towards the ends like natural hair so that it blends in nicely and it looks more natural. 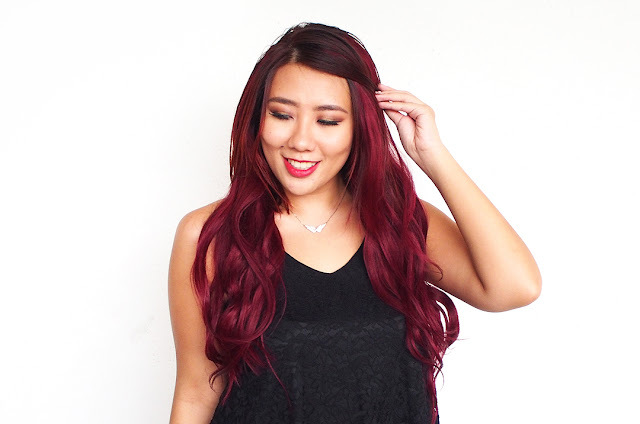 I also like that there are multi-dimensional tones in the hair colour, making it much easier to blend with my own (for a hair extension newbie, this is greatly appreciated!). A strong fear of mine is that pieces drop out while I'm walking or going about in my day but that fear was allayed after I realised that the clips are pretty sturdy and they grip onto the hair well. 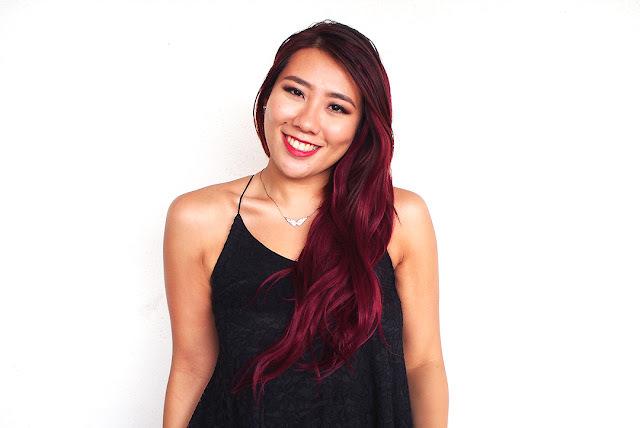 As I have pretty short hair, I was afraid that I would not be able to blend the hair extensions with my own as my hair has a tendency to stick out. I found that using a straightener and going through the hair really does help to blend both fake and real hairs together. This reminds me somewhat of false lashes where a slight squeeze of the lash curler helps to blend the falsies with the real lashes. In the pictures below, you can see the dramatic difference in length and volume! My blending isn't the best yet, but I tried. And here is the after using all 10 pieces of the hair extensions! Maintenance is pretty simple, I usually just take my paddle brush and brush them through gently after use. There is slight shedding (like brushing your own hair), but nothing too excessive. After, I like to bundle them up according to the number of clips, twist them neatly and store them back into the box that they arrived in. Also, washing and deep conditioning should be done as well, but not be too frequently as it shortens the life span of the extensions. Overall, I am pretty fascinated by these and am enjoying them so far. As this was my first time trying hair extensions out, I have no prior experience to compare it with. however, it does feel sturdy and of good quality to me. 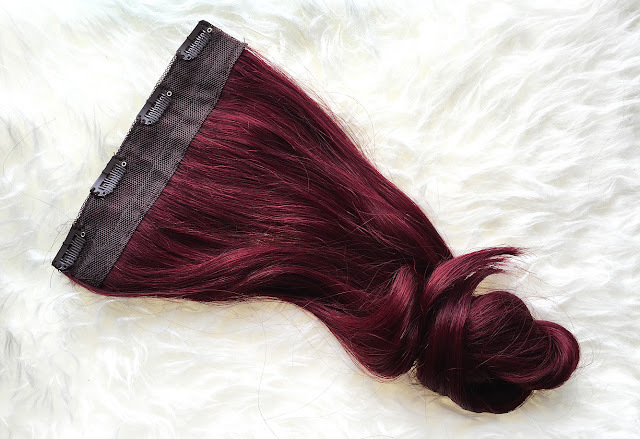 You can check out these hair extensions out via Irresistible Me's main website here. Just one more picture because I am obviously feelin' myself here. **These hair extensions were sent for a review. Only honest thoughts are shared here, with no influence from others. I am not compensated nor affliated to the brand.